El Zotz is a Mesoamerican archaeological site of the pre-Columbian Maya civilization, known for the numerous bats living in caves in the nearby cliffs. 07:30 Arrival at Cruces Dos Aguadas 65 kms from Flores (*). This is where our journey begins. A local assistant will prepare the pack horses. If requested ahead of time, we can also provide extra horses (to ride on). 08:00 We start our hike through the jungle. The 4-hour trail to Zotz is quite a windy road, with dense foliage and lively spider monkeys. 12:30 Stop for a packed lunch along the way to El Zotz. 13:30 We continue our trek through the Biotope. 17:30 Arrival at our first camp site near a patrol station. We walk to the base of a bat cliff (about 500 meters from the camp) to observe hundreds of thousands of bats leaving their cave dwellings around the cliff for a night of foraging. Bat falcons can also be seen, diving at a high speed into the streams of bats as they hunt for their prey. Bats are one of the most important elements in the reproduction of the rainforest. In one single night, a fruit bat can disperse the seeds of a tree along many square kilometers; nectar-eating bats also help the pollination of many other plant species. The bats make for an incredible and exciting experience, fully charged with the vitality of nature. Dinner is a hearty meal – including fresh, hot tortillas – that is prepared by your guide over a wood fire. Friendly conversation with the members of the expedition and the always helpful staff of the patrol station make for a pleasant evening in the jungle. (*) TRANSPORT from FLORES to DOS AGUADAS is included in the price below, 65 kms away from Flores – 2 hours nonstop. 06:30 The day begins with breakfast and exploration of the nearby archaeological site, surveying its plazas and jungle-covered mounds. Climbing the tallest mound, the Devil’s Pyramid, provides a glimpse of the summits of the temples of Tikal, 23 km to the East. 12:00 Lunch along the trail to Yesal. 5:30 Arrival at Yesal. The camp grounds include thatched roof bungalows to hang hammocks and mosquito nets, and a latrine. After camp is set, we climb the hill just above the camp, for a view of the endless forest and the temples of Tikal in the horizon. 18:30 Dinner at El Yesal. After dinner, we relax and listen to the sounds of the jungle. We’ve even heard jaguars howling in the distance. 06:30 Breakfast in El Yesal. 07:00 Break camp and head for the final leg of our journey, through rolling terrain covered by tall primary forest. During this segment, no pack horses are available, so passengers have to carry their own packs. For this reason, we remind you to pack lightly. 12:00 Lunch in the rain forest. 14:00 Arrival at Temple IV in the west of the restored area of the site of Tikal. 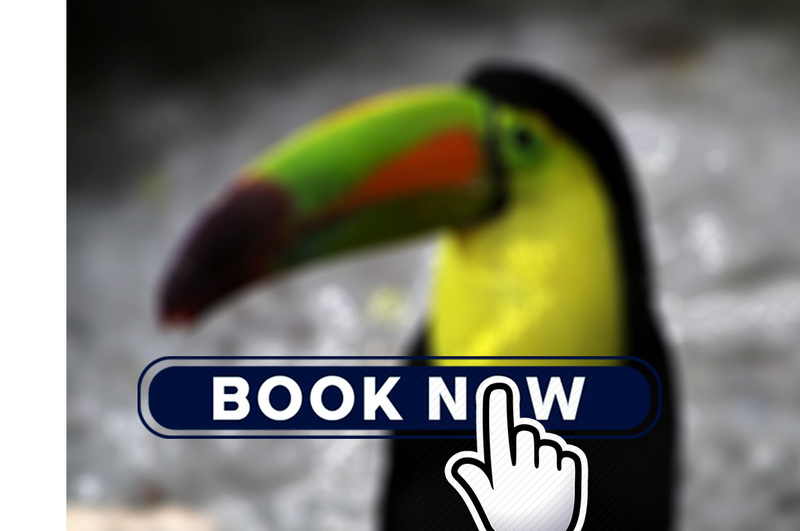 If you wish to spend the night in Tikal, arrangements can be made through our office for reservations in a hotel in the park and a minibus back to Flores the next day. If you would like to return to Flores in the evening, we can also arrange for a minibus to pick you up from Tikal. Included: Transportation from Flores to Cruce Dos Aguadas, local guide, the meals: 2 dinners, 2 breakfasts, 3 picnics, drinking water, lodging in camp (hammocks and mosquito-net) or tents with sleeping bags (as you want), horses to transport luggage and camping materials. Not included: Entrance fees to Tikal, horses to ride on (available for 30 USD for the first 2 days) other drinks than water (sodas and beers available) tips, optional extra night meals in tikal, tranfer Tikal-Flores and insurance. What to bring: Hiking boots, long trousers, wind or rain jacket, sun block, sun glasses, camera, binoculars, torch, 2 liters or water, extra clothing, big back pack, snacks, mosquito repellent.